Discover superior comfort and convenience at this Twin Cities hotel near the Mall of America and Minneapolis St. Paul Airport. Our hotel's address is off I-494 to connect you to MSP Airport and near I-35E, giving you easy access to downtown St. Paul. Come see why this hotel is The Place to Stay. Our hotel's facilities feature more than 5,500 square feet of space for up to 230 guests. You can relax knowing our expert staff is ready to help your meeting run smoothly. We provide a 2-hour RFP response guarantee, a dedicated Meeting Director and Daily Meeting Debriefs. With free Wi-Fi access throughout the hotel and a 24-hour Business Center, you can stay connected during your trip. You'll discover more than just shopping when you stay at our hotel near the Mall of America. You can ride our complimentary shuttle to the mall and from there, hop on the Metro's Hiawatha Line to explore all that Minneapolis has to offer. Nearby attractions include the Minnesota Zoo, Walker Art Center and the Metrodome. 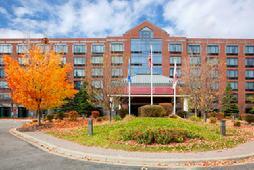 Our award-winning hotel near the Mall of America provides an exceptional level of guest service. Take advantage of the Fitness Center, indoor pool, sauna and whirlpool to unwind. The Lone Oak Cafe offers a cozy setting for a meal or cocktail. ©2011 TCBH, Inc. dba VIPStay.com. All rights reserved.